01. Mechanical Lock Comparison Table. The Ultraloq UL3 Fingerprint/Keypad Lock with optional Bluetooth can identify up to 95 fingerprints. It is fast and reliable—it works in less than 0.5 second and is activated automatically when you reach out your finger to the touch keypad or fingerprint reader. Many cool features including knock or shake your smart phone to open or use your fingerprint. 1 This table shows the starting price, not including any additional options. 2 The additional cost of options selected (if any) are not discounted. ADA COMPLIANT: Yes, if mounted at proper height. 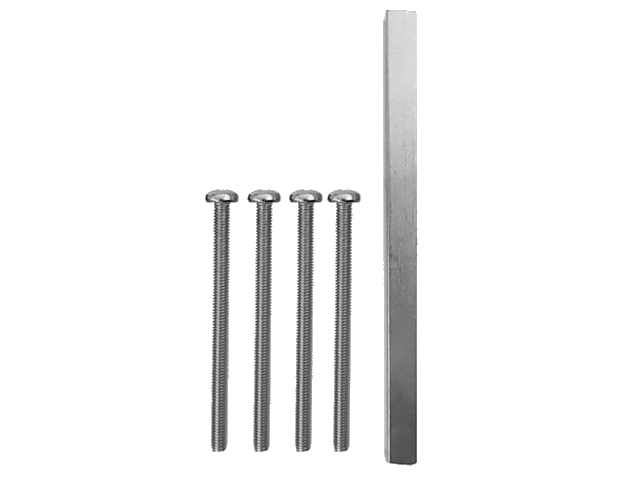 BOLT TYPE: Locks with a tube-shaped latchbolt that is inserted into a door's edge. These are spring-loaded and lock automatically..
CODE LENGTH: 4 to 8 digits. DOOR THICKNESS: fits standard doors (1-3/8" to 1-3/4" thick); Thick Door Kit available (up to 2-3/4" thick). DOOR/GATE TYPE: (locks for standard doors/gates that swing and are made of wood/vinyl/glass/metal, with/without vertical posts or pickets). FINISHES: aged bronze; satin nickel. HANDLE: Locks with reversible lever-handles which can be used on either left or right side of a door and can be ADA compliant. INSTALLATION: bolt is inserted into edge of door. KEY OVERRIDE: Locks that come standard with a built-in key override for a metal key to provide an additional way to open..
KEYPAD: single-sided, illuminated on 1 side. LOCKS FOR ...: (economical locks designed for residential/light commercial use with fewer features, fewer users, and light traffic). MAX CODES AT 1 TIME: 95 fingerprints. MODES: Locks automatically; passage (code not needed to open). POWER: batteries - 3 AAA Alkaline batteries. REMOTE CONTROL: SmartPhone (iOS or Android). REPEATING DIGITS ALLOWED IN CODE: yes. WAYS TO LOCK/UNLOCK: (unlocks by a scanning a fingerprint); (unlocks by using a keypad on the outside only); (unlocks by using either a metal key OR a keypad); (unlocks with a Bluetooth signal from a SmartPhone or tablet). WEATHER RESISTANCE: Locks which have a weather-resistant outside lock body but an inside lock body that must be protected from weather. Fingerprint/keypad lock handles up to 95 fingerprints. Advanced Fingerprint Identification works in in less than 0.5 second. Flexible 4 to 8 digit codes. Anti-peep touch keypad technology so strangers can’t steal your password by watching when you enter the password. Type in any number of random digits to open as long as 1 correct password is embedded. Fingerprint keypad lock supports three locking states: Normal, Passage, and Lockout, which you set up directly on the lock. Handy Clone feature: When you install another lock, just use Clone to transfer all users to new lock in one shot. Hidden Backup Key - A keyhole is on the bottom to give extra security in case of keyhole hackers. Completely waterproof and dust-proof for either indoor and outdoor use. 3 AA batteries (included) last up to 1-year and 8,000 accesses. Activated automatically when you reach out your finger to the touch keypad or fingerprint reader. Intuitive OLED Display uses touchscreen to easily add or delete user on the device. Outside lock body temperature (exterior mounted) -31°F (-35°C) to 158°F (70°C). Inside lock body temperature (interior mounted) 14°F (10°C) to 131°F (55°C). On an iOS device, you don't even have to open the app for Bluetooth keyless entry. Just knock on your phone four times, even when it’s in your pocket and you’re in. On an Android device, you can just wakeup your smartphone’s screen and shake your phone for Bluetooth keyless entry. No need to eve open Ultraloq app. SMARTPHONE ENABLED Ultraloq App enables you to unlock your door with your smartphone. SEE YOUR USERS Knows who has the access to your lock and how. KEEP A RECORD You can see a Log of who’s entered and exactly when they did from your smartphone. EASY TO PROGRAM When you install another lock, just use the handy Clone feature to transfer all users in one shot. 3 MODES Auto relock, privacy lockout and free passage. Copyright strictly enforced. Written permission in advance is required to use images or content from this website.